March comes in like a lion on Blue Moon. Vintage tracks including two sets that feature the songwriting prowess of Hank Cochran and a tie-in to Willie Nelson. 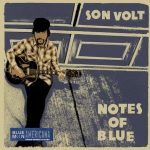 New music takes a front seat as always with a collection of fresh sounds from Alison Krauss, Son Volt, Bap Kennedy, Ryan Adams and a host of others. It’s Americana music for our listeners in Sonoma County and around the world…streaming at http://www.kows.fm/listen. Every Thursday morning at 5am PDT on KOWS.